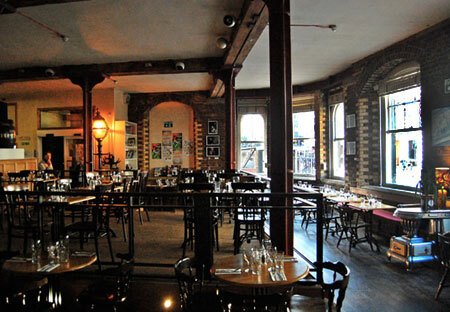 Close to London Bridge Station, a short walk down Southwark Street is The Menier Chocolate Factory, an award winning restaurant and performance space for plays, musicals and stand-up comedy that sits comfortable outside of the West End. 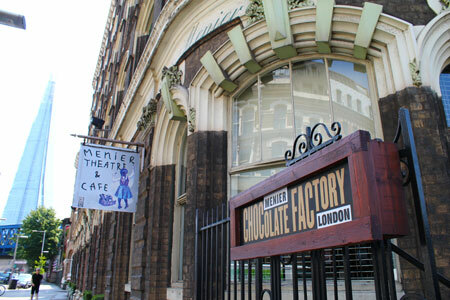 Originally the building was, as the name suggests, a chocolate factory for the Menier Company, once one of the largest chocolate companies in the world, but now only a small brand owned by Nestle which can only be bought from Waitrose or in France. To get to the bar and theatre you have to walk through the delicious smelling restaurant, where those that managed to get the “meal and a show” deal are enjoying their mouth watering food. Even though small, this unpretentious and charming restaurant had an excitable pre-show crowd creating a brilliant ambience that hits the moment you walk in, always a good sign. The bar at the back is modest and has a different feel from the restaurant; bit of a run-down charm that you would get in a comedy club or music hall and quite chilled out. Filled with show posters and a small cabinet of historical objects from the building’s former days you get a real sense of the history the Chocolate Factory has. From the bar we made our way into the theatre through a door that before opened was cunningly disguised as a cargo lift. The theatre is a 180 seater with comfortable bench seating and decent amount of tiering so that nobody’s head gets in your way, it also gives you a feeling of being close to the stage wherever you sit. 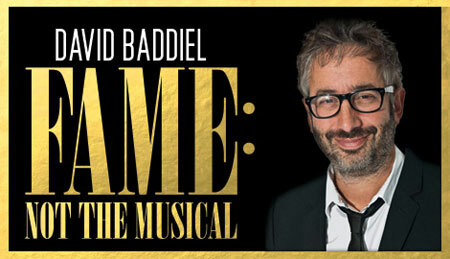 The show we were seeing was David Baddiel – Fame: Not the Musical, having not seen or heard much from him in quite a while we weren’t sure what to expect but we shouldn’t have worried with Baddiel putting on a warming and hilarious show that takes a slightly self-deprecating look back at moments from his life. Highly recommend seeing this show. After the show we decided to eat in the restaurant instead of getting a snack elsewhere as seeing and smelling the food on the way in really swayed us. 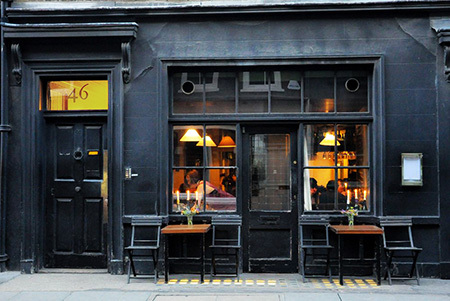 The standard of the food surprised us, we had a feeling it would be good but it far exceeded expectations. Going for the burger (standard) it was a behemoth that came with massive stacked up chips. high quality and highly satisfying, plugging a craving. My date went for the gnocchi which wouldn’t have been out of place at a high-end Italian. The texture was incredible, light, fluffy and completely moreish, it also came with a giant deep fried Parmesan crisp that she went wild for, definitely a winning dish. 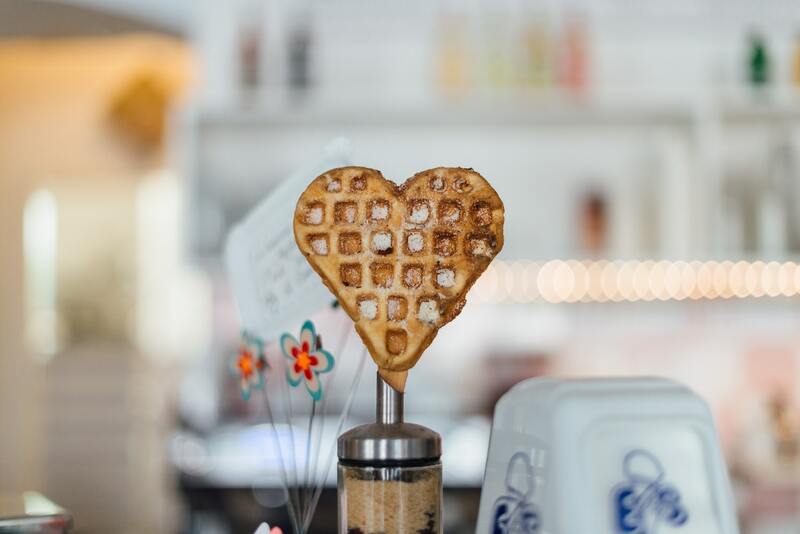 The Menier Chocolate Factory, is an excellent choice for a date, with a fantastic restaurant and lovely theatre you can’t go wrong. Look out on the MCF website for “meal and a show” tickets as these are a total bargain.